Full color contact lenses are opaque and feature solid, block color designs. The block coloration on these non-transparent styles is the best way to cover darker eye colors. 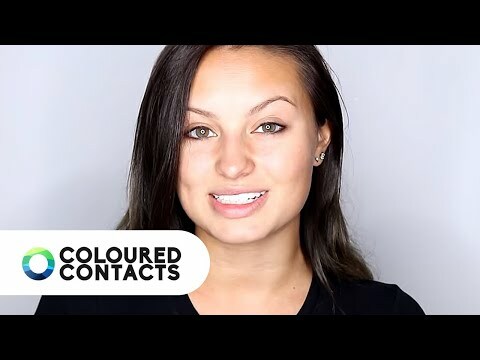 If you're a big fan of James Cameron and Avatar is one of your most-watched movies, show off your great taste in these Avatar 30 Day Colored Contact Lenses! Perfect for Cosplay or creating a unique look for a costume party, these golden contact lenses give you an authentic look that would be right at home on the lush alien world of Pandora! These Avatar 30 Day Colored Contact Lenses are completely reusable so you can wear them for up to 30 days once opened; great news for regular Cosplayers or those that are popular enough to be invited to every costume party over the Holiday Season!